The Hyde Park Hair Shop is based in the flourishing shopping area of Hyde Park Road in Plymouth. Whilst centrally located, our location means that you can avoid having to drive right into Plymouth City Centre for your hair appointment, dodging traffic. We offer both a walk-in service and appointment service for Ladies and Gents hairdressing at The Hyde Park Shop because we understand that in a busy schedule you can’t always predict when you’ll have any free time. However we are a highly sought after salon so you may want to book to avoid any disappointment. You can book by calling either 01752 228 608 or by contacting us here. As part of our continuous development to ensure we’re a better hairdressers salon every time you visit, we now have an established ladies hairdressing salon as well as a gents barber shop. Our salon spans two floors comprising stylish, comfortable seating and a laid-back setting for you to experience the most pampering, decadent experience. In line with our continuous development as a hairdressing salon all of our team here at The Hyde Park Hair Shop receive regular training on the latest colour and cutting techniques. So there’s no need to worry if your style is extremely modern or if your colour is a little out there – we can cater to everybody. To complement your new hair style perfectly we stock a growing product range of everything from softening conditioners to skin-soothing shaving gels. Our range includes products from stylish, classic brands like Sebastian Professional, Wella’s EIMI line, Baxters of California, and American Crew. Not only can we offer these products to you but we can also now offer you the Uevo Design Cube – an exciting hair innovation imported from Japan. 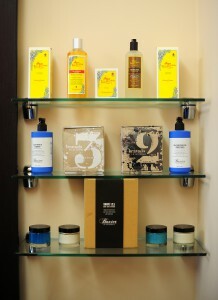 To browse our full range of products or to make a purchase, visit us in store or click here. On the first floor you’ll be greeted by the wonderful Rick and Sarah who coordinate our Ladies and Gents appointment service. Rick is a talented, charismatic and experienced Ladies and Gents hairdresser has worked as a hairdresser in Plymouth City Centre for over 10 years. Sarah has built a reputation for being extremely talented at hair styling and so she has worked at The Hyde Park Hair Shop for over 2 years now. Our other team members include: Annabelle, our highly trained, highly coveted barber and Chris, our perfectionist hair stylist whose known for his attention to detail in the Plymouth hairdressing community. Chris developed the business over a long span of years and now works predominately in the Gents section mainly with walk-in clients. Our hairdressing salon’s unique location in Plymouth means that we see a diverse range of clients come to our hairdressing salon, and of course all are welcome. 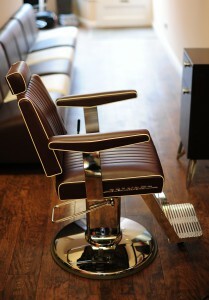 The relaxed, friendly vibe that our salon exudes is just testament to why you should come to us for our expert skills. When you leave our vibrant salon, you’ll be buzzing with confidence and you’ll know that your new style will impress!